A taxi driver hacked an American to death after an argument over a $1.60 fare, Thai officials said late Sunday. 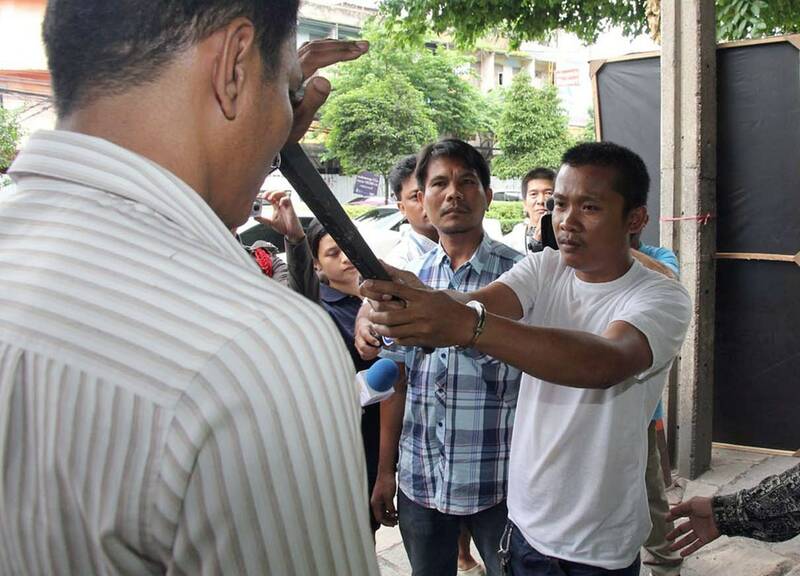 Troy Lee Pilkington, 51, was repeatedly slashed with a 12-inch machete on Saturday night, according to Bangkok police. Police Lt. Col. Teerayut Maiplaeng said the suspect told them that Pilkington, who had lived in the country for three years, accused him of rigging the meter as they sat in traffic on the city’s busy Sukhumvit Road. The victim allegedly stormed out of the cab and refused to pay the 51 baht ($1.60) fare. The suspect claimed when he asked for the money, the American threw a cup of coffee at him, after which he pulled the knife from his trunk and chased after Pilkington. Video footage from a nearby surveillance camera captured part of the struggle and shows the taxi driver wildly swinging a machete as the other man flails his arms and tries to grab the driver. The suspect told police he panicked and that Pilkington, who worked for the American machinery company Caterpillar Inc., fell to the ground but he did not think that he would die, according to the Bangkok Post. After the attack, the suspect dumped the machete into a canal and threw away his shirt, the Post reported. 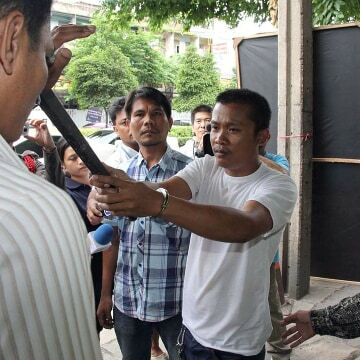 Chidchai Utmacha, 32, was arrested him on charges of murder and carrying a weapon in public without reasonable cause.